Welcome to my website. my name is Helmut Fritz and I live in Germany. Well, what can you expect on this site? As my profession is the development of software it is quite clear that software will also be an important part. But I also have some hobbies which are more or less connected to my profession. 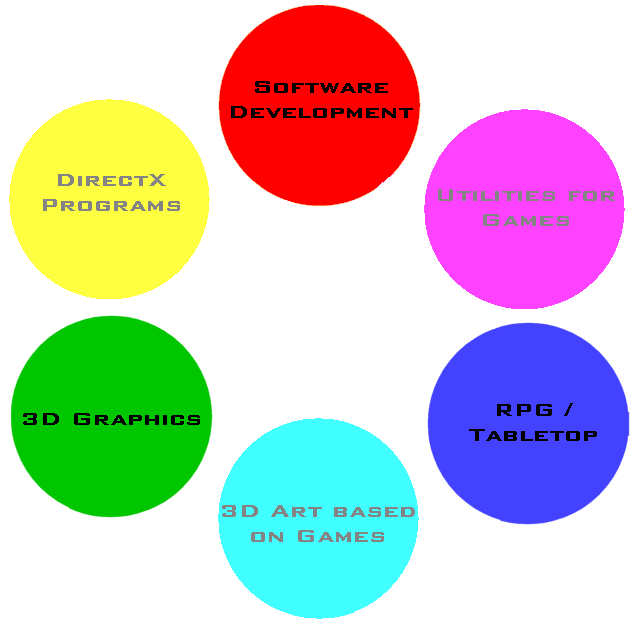 One is 3D Graphics and the other one ist Fantasy Role Playing Games and Tabletop Gaming. Often I try to mix two of my main areas which results mostly in software for the other two branches. Please excuse the non-consistent look of my wabsite. I know it is horrible and confusing. But I asume you are more interested in what I have to offer and will be patient with me. But enough of the introduction. Take yourself some time and choose your area of curiosity. 13th Mai 2002: The section about our club is up (it is in German, as it is maily directed to other players in our area).